With shark sightings on the rise, more support is coming to communities on Cape Cod. Massachusetts is granting six Cape Cod towns nearly $400,000 to use for shark safety preparedness and response programs ahead of the 2019 summer season. Town managers from Chatham, Provincetown and others worked together to prepare for the summer and asked the state for assistance. Now, the Cape towns will receive a $383,000 grant to increase beachgoers' safety. Wellfleet is one of the towns receiving the funds. Town Administrator Dan Hoort plans to spend it on installing emergency call boxes at four of the beaches and buying on all-terrain vehicle that can travel up and down the sand dunes. "Right now, first responders have to carry all of their equipment up and down the dunes to reach the victim, and it's a matter of seconds when you're dealing with an attack or any victim," Hoort said. "I can't make you 100 percent safe, but I can try and improve your odds." Other Cape Cod communities plan on using the funds for more lifeguards, satellite phones and to hire additional beach staff and emergency responders. State Senator Julian Cyr and state Representative Sarah Peake helped secure the funding. "We said we need some help here on the Cape,we cant expect our little towns to shoulder 100 percent of the burden," Peake said. "And we got 100 percent of what we asked the state for." It is welcome news to beachgoers, including some who are so concerned about the impact of shark attacks that they are raising money for a different approach. They are working to privately fund a pilot for a device called Clear Buoy. It would use sonar technology and alert swimmers when sharks are on the water. "The state funding is fantastic, but it's time to pivot and focus on surveillance and detection," Heather Doyle of Wellfleet said. Doyle is part of a group that is working to raise $200,000 so two buoys can be installed for the pilot. "If we can do all these things to potentially save a life, it's a no-brainer and it's worth it," Wellfleet resident Ashley Penn said. Last year, a 26-year-old man was killed following a shark attack in Wellfleet. Arthur Medici succumbed to the injuries he suffered when a shark attacked him as he was boogie boarding in the waters off Newcomb Hollow Beach. 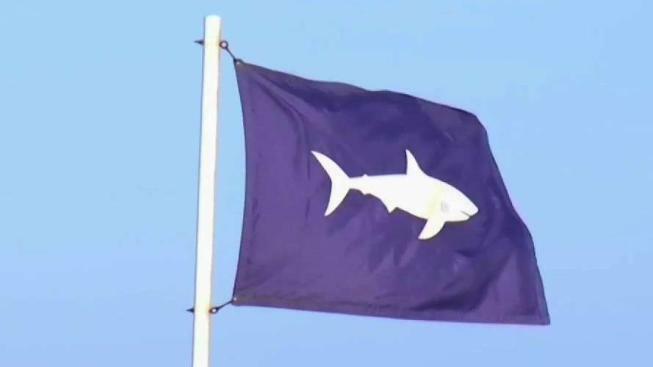 It was the state's first shark attack fatality in more than 80 years. Also last summer, in August, a 61-year-old man was bitten by a shark in Truro. He was taken to a hospital and recovered from the attack.